Top Indian fashion and lifestyle blog: Who wore sweater with a heart better? Who wore sweater with a heart better? 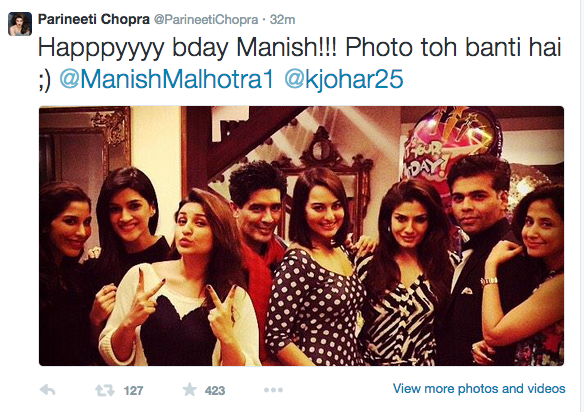 It is Manish Malhotra's Birthday and Parineeti tweeted a picture of hers with other stars and the Birthday boy. We saw the heart sweater that she is wearing that we have earlier seen on Alia Bhatt who had worn it to the screening of her movie 2 States. It was also seen on Yami Gautam, at the airport, while she was boarding her flight for IIFA awards.